What Is Meth Addiction Relapse? Relapses after recovering from crystal meth addiction are common, even after successfully completing a rehabilitation program. Learning how to deal with relapses is an important part of the meth recovery process. Relapse rates for all drug addiction, estimated at 40% to 60%, are similar to those for other chronic illnesses, such as diabetes, hypertension, and asthma. 3 One clinical study in 2012 found an 88% relapse rate for methamphetamine, 4 though that statistic has not been reproduced to date. Nevertheless, crystal meth has a reputation for being more difficult to quit than other drugs. Total abstinence is usually recommended. 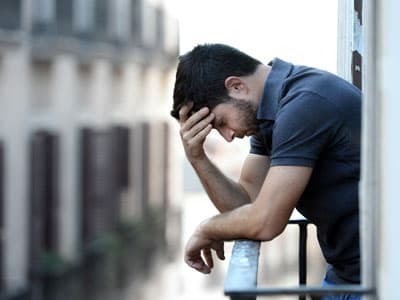 Researchers have noted that the way a relapse is framed can make a big difference in recovery.2 For example, if you feel enormous self-condemnation for a relapse, it can set off a cascade of negative thoughts and emotions that actually lead to more use. Not having a prevention plan in place. People who do not have a plan to deal with triggers, cravings, and other challenges of recovery are more likely to relapse when faced with things that threaten their sobriety. Stress. Many people relapse when faced with stressful events. They may have used crystal meth or other drugs to deal with stress in the past and may return to drugs if they have not developed other coping strategies. Thinking it is “safe” to use again after a period of sobriety. Sometimes, people in crystal meth recovery begin to believe that they can control their use or want to “test” themselves to see if they can use again without falling back into meth addiction. However, few people who have been addicted are able to do this. Stop using. If you use crystal meth again—even if it’s just once—the first step to recovery is to stop using it immediately. Stay positive. After a meth relapse, you may experience self-blame, negative thoughts, and fears. These feelings can be deeply embedded mental and emotional patterns. They may stem from unconscious beliefs about yourself that may not be true and can actually impede your recovery.8 Remember that it is possible for you to turn your relapse into a positive learning experience. Try to understand what triggered the relapse. Then you can develop a plan for preventing another relapse. You can ask yourself the following questions: Was the relapse related to a specific event? Were you having problems with a job, family, or friends? Was there a crisis? Is it possible to avoid or minimize exposure to this trigger in the future? If not, then how can you minimize its impact, or how can you change the way you react to the trigger? Contact your Narcotics Anonymous sponsor or therapist right away. They can help you answer the questions above. Family members or friends can also help you through this relapse. Get back into treatment immediately or find a program. A relapse can certainly feel like a step backward. But it doesn’t have to be. Even if you’ve been to crystal meth detox or residential rehab programs before, there’s always something new to learn. You can figure out steps and strategies for next time and begin to heal the problems that have been created or resurfaced with this relapse. Determine whether you need a different program. If you’ve been in addiction treatment or are still in treatment, reflect on your experience so far: Was the rehabilitation program helpful for you, or should you try another program? Do you need to discuss other options with a supportive friend, therapist, or another addiction professional? Match the level of treatment with the severity of the relapse. A minor relapse may require relatively minimal intervention, such as additional outpatient therapy. But if the relapse was severe and went on for days or weeks, you may need to enter detox or inpatient rehab again. Consider whether you need mental health therapy. 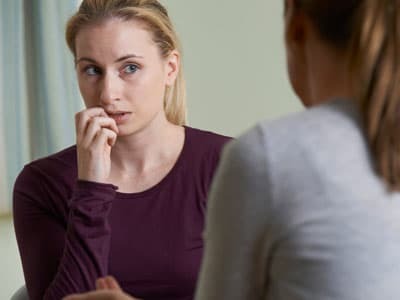 You may also want to consult with your therapist to consider whether there is also an undiagnosed mental illness or trauma (a dual diagnosis), which may require medication and therapy. Be patient. Change does not happen overnight. Make sure that you are realistic and compassionate with yourself in working toward your goals or you could be setting yourself up for disappointment later. Seeing a therapist on an ongoing basis. A therapist can help you develop coping strategies for cravings and triggers, as well as help you work through any underlying mental health issues that may be driving your addiction. Going to 12-step meetings. Twelve-step meetings offer support and a structured program of recovery. Find a sponsor you trust and with whom you feel comfortable. Identifying and managing triggers and high-risk situations. As mentioned above, a therapist, sponsor, family member, or friend can help you do this. Leading a more balanced life. This can include exercising, eating a healthy diet, finding hobbies, or practicing meditation and mindfulness. Building a support network of people you can trust. The importance of social ties for meth recovery can’t be overstated. Staying away from negative people. You know who they are—people you may feel close to, but who cause you to begin using again. They are judgmental or negative and may bring up feelings that could be triggers. Learning how to manage your cravings. When thoughts and urges arise, cognitive reframing, thought-stopping, and distraction can all be used to prevent relapse. Your therapist can help you practice these techniques. The triggers that lead to a crystal meth relapse can occur quickly and often without you even noticing. Some people find mindfulness meditation helpful in identifying harmful thoughts and urges and for providing space to make healthier choices.12 Many resources on meditation are available online. Some of the most well-known mindfulness meditation coaches include Deepak Chopra and Jack Kornfield, but the options are many. Find a technique that is right for you. In addition to creating a relapse prevention plan, you should familiarize yourself with the warning signs of a relapse so you can be aware of when you may be slipping back into using. Stopping attendance at 12-step or support group meetings. Recovery is difficult without some form of support. If you’re tired of going to meetings, find another kind of support. Thinking about how you can obtain crystal meth. If you are plotting out how to buy crystal meth, call someone immediately: a sponsor, therapist, family member, or friend. Hanging out with people who use drugs. As mentioned above, it can be hard to stay sober around people who are still using crystal meth. Not dealing with emotions. Stress, boredom, anger, or sadness can lead to relapse if they are not properly managed. Additionally, some people may relapse to intensify or prolong positive emotions. Let go of self-blame and reframe the relapse. Relapse doesn’t mean that treatment has failed, and it is actually a recognized part of the meth recovery process.10 Many people relapse on meth several times before achieving long-term sobriety. Think of recovery as a marathon, not a sprint. Whether you’ve just left the starting block, or you’re in the home stretch, or even if you feel like you have no idea how far you have left to go, you are not alone, and you can get through this. Allow yourself to feel good about the steps you have taken already on the road to recovery, even if it’s simply looking up this information on the internet. You can get through this relapse. National Institute on Drug Abuse. (2014). The science of drug abuse and addiction: The basics. Collins, S. E., Witkiewitz, K. (2013). Abstinence Violation Effect. Encyclopedia of Behavioral Medicine. New York: Springer. McKetin, R., Najman, J.M., Baker, A.L., Lubman, D.I., Dawe, S., Ali, R., & Mamun, A. (2012). Evaluating the impact of community-based treatment options on methamphetamine use: Findings from the Methamphetamine Treatment Evaluation Study (MATES). Addiction, 107(11), 1998–2008. Dingle, G.A., Stark, C., Cruwys, T., & Best, D. (2015). Breaking good: Breaking ties with social groups may be good for recovery from substance misuse. The British Journal of Social Psychology, 54(2), 236–54. Stoops, W.W., Rush, C.R. (2014). Combination pharmacotherapies for stimulant use disorder: A review of clinical findings and recommendations for future research. Expert Review of Clinical Pharmacology, 7(3), 363–374. Lee, T.H., Szabo, S.T., Fowler, J.C., Mannelli, P., Mangum, O.B., Beyer, W.F., & Wetsel, W.C. (2012). Pharmacologically-mediated reactivation and reconsolidation blockade of the psychostimulant-abuse circuit: A novel treatment strategy. Drug and Alcohol Dependence, 124(1-2), 11–18. Habibi, R., Nikbakht N.A., Shabany, H.M., Saleh M.A. (2016). The effects of family-centered problem-solving education on relapse rate, self efficacy and self esteem among substance abusers. International Journal of High Risk Behaviors and Addiction, 5(1), e24421. Gorski, T.T., National Institute on Drug Abuse. (n.d.) Approaches to drug abuse counseling: The CENAPS® Model of Relapse Prevention Therapy (CMRPT®). Larimer, M.E., Palmer, R.S., & Marlatt, G.A. (1999). Relapse prevention. An overview of Marlatt’s cognitive-behavioral model. Alcohol Research and Health, 23(2), 151–60. Polcin, D.L., Korcha, R.A., Bond, J., Galloway, G. (2010). Sober living houses for alcohol and drug dependence: 18-month outcomes. Journal of Substance Abuse Treatment, 38(4), 356–65. Witkiewitz, K., Lustyk, M.K., & Bowen, S. (2013). Retraining the addicted brain: a review of hypothesized neurobiological mechanisms of mindfulness-based relapse prevention. Psychology of Addictive Behaviors 27(2), 351–65. Germer, C.K. & Neff, K.D. (2013). Self-compassion in clinical practice. Journal of Clinical Psychology, 69(8), 856–67. National Institute on Drug Abuse. (2014). Treating addiction to prescription stimulants.